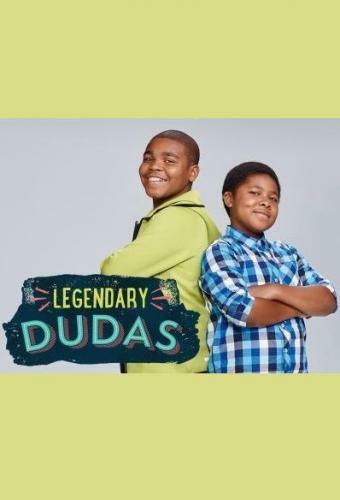 When will be Legendary Dudas next episode air date? Is Legendary Dudas renewed or cancelled? Where to countdown Legendary Dudas air dates? Is Legendary Dudas worth watching? Legendary Dudas follows brothers Sam and Tyler Duda -– polar opposites whose worlds are turned upside down after Sam skips a grade and joins his brother in 7th grade homeroom. Tyler wants to appear on TV in a talent show, so he persuades Carter to revive their old martial-arts routine. The boys sneak into a fair at their elementary school to relive the good old days of their youth. Tyler discovers a dance club the girls secretly formed, and he desperately wants to join it. Legendary Dudas next episode air date provides TVMaze for you. EpisoDate.com is your TV show guide to Countdown Legendary Dudas Episode Air Dates and to stay in touch with Legendary Dudas next episode Air Date and your others favorite TV Shows. Add the shows you like to a "Watchlist" and let the site take it from there.